Kelly Clarkson was the very first winner of the hit talent show American Idol in 2002. In 2016, she would return to that very same stage and perform an original and emotional song for the series finale. 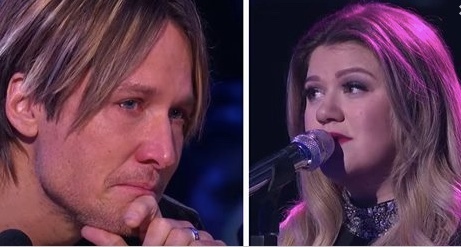 While Kelly was giving the performance, there wasn’t a dry tear in the house — including herself. She had joined the judge panel as a guest judge while she was pregnant which could explain the emotional performance. However, anyone that watched the performance loved it so much that they too were in tears. People admired her for the raw and exposing song when you find out the meaning behind the song, you’ll cry too. Continue to the next page to watch the emotional display and find out why it means so much to her and to so many others.